Fox Sport are reporting that Tottenham Hotspur and Chelsea are keeping tabs on 23-year-old (24 in November) Croatian midfielder Marcelo Brozovic. We were linked with the Inter Milan midfielder in the summer when his loan period finished and his automatic purchase kicked in. Brozovic wanted a wage increase, Inter Milan didn't want to give him one so they made it known he was for sale and his agent was touting him around clubs. 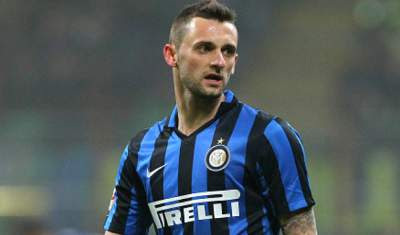 However, Inter were then talking of tripling his transfer fee so nobody was interested. New manager Frank De Boer isn't giving him much game time either, he has played 65 minutes of football this season, just 20 minutes in Serie A so Tottenham, Chelsea and Arsenal are mentioned as possible destinations. It sounds very much like his agent feeding stories to the media.